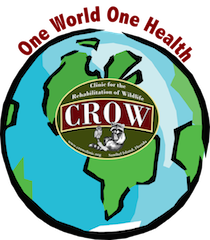 One World, One Health concept is core to CROW’s mission. 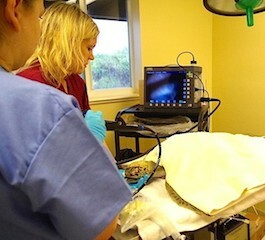 Conservation medicine is an emerging, interdisciplinary field that studies the relationship among humans, animal health and environmental conditions. CROW's "One World, One Health" approach to wildlife conservation medicine looks to improve the health of the environment, humans and our animals through a better understanding of wildliife medicine. We need to recognize the essential link between human, domestic animal and wildlife health and the threat disease poses to people, their food supplies and economies, and the biodiversity essential to maintaining the healthy environments and functioning ecosystems we all require. To learn more about One World, One Heath visit One Health Initiative.